Are you sure? What if I try itsonpremise.com? It's really as easy as this. Premise is an idea, and premises is a building. 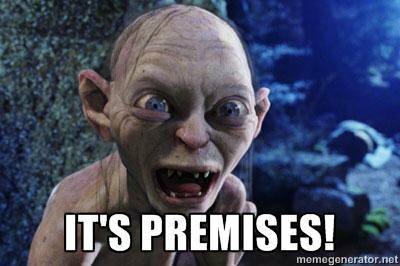 So, on-premise is based on an idea, and on-premises is located in a building. But, it's just an "s"
True...but would your name be the same if I added or removed an S from it?. Think of it in the simplest terms. Let's all agree to stop the #OnPremiseViolation from happening. Saying it more often does not make it mean something that it isn't.